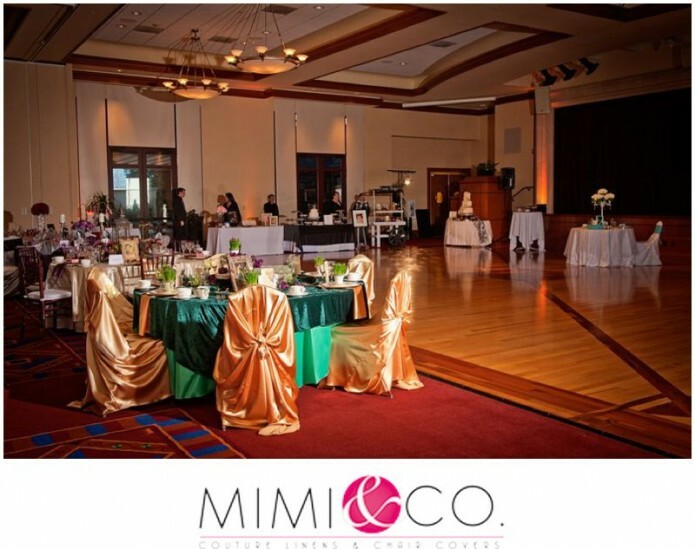 We were so excited to be a part of Orchard Creek Lodge‘s open house event! What was even more fun was that it was themed after famous couples. 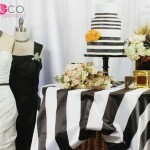 Each table design featured a couple and their signature style! 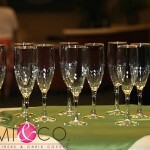 So take a look and see all the fun we had with this event! Special thanks to Wendy Hithe Photography for these lovely images! 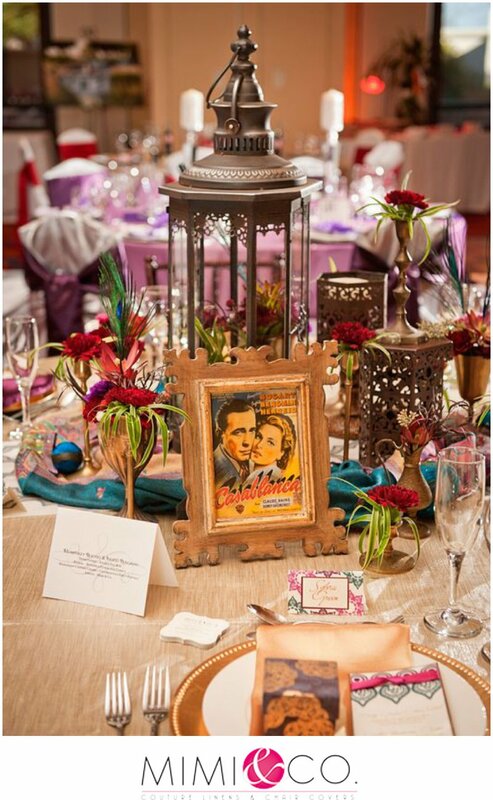 This Gone With the Wind movie couple featured Pantone’s color of the year, emerald green. 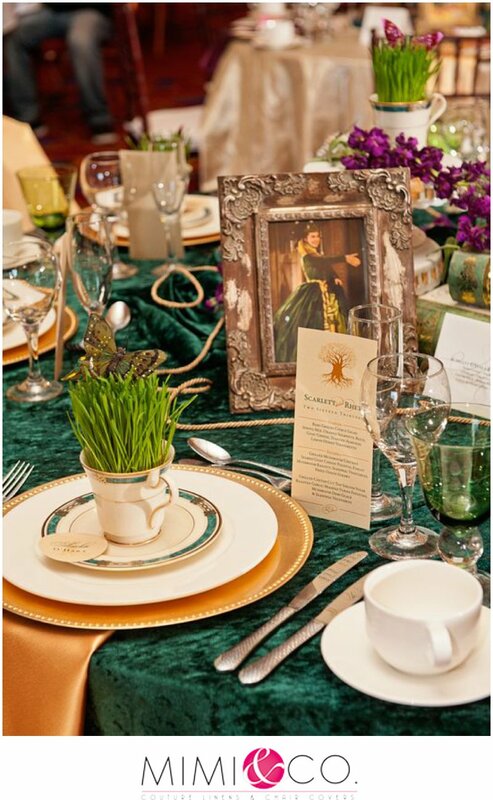 We used crushed green velvet linens inspired by her dress, gold tassels and Southern plantation accents. 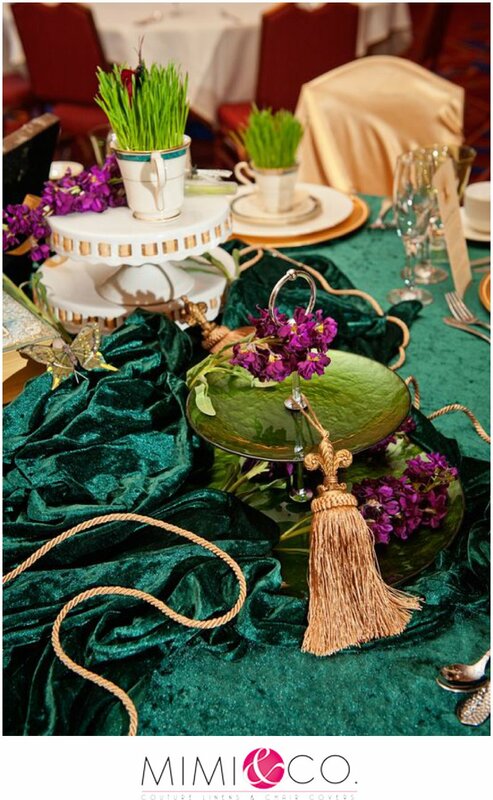 Green velvet linens with gold tassels. 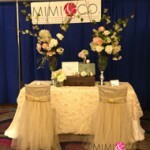 Our gold, self-tying chair covers are an affordable and great way to dress up your chairs. This baseball meets glamour table featured baseballs stacked in a tall glass vase with red roses to symbolize Marilyn’s lipstick. 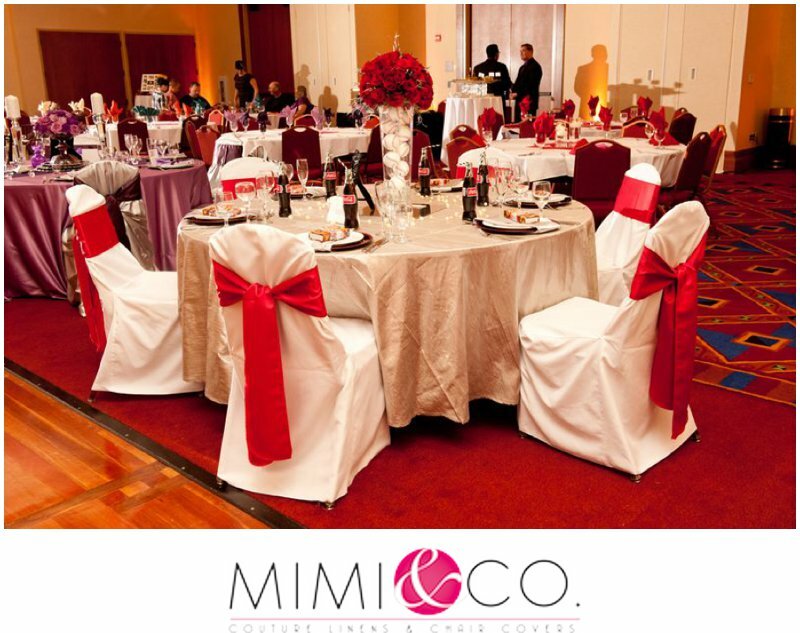 Platinum linens to symbolize Marilyn’s platinum hair was paired with red chair ties to tie back in with the florals in the centerpiece. 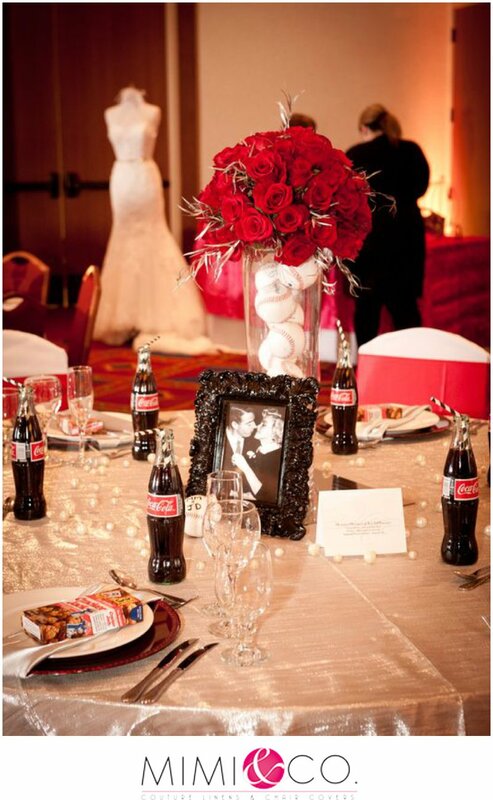 Vintage coke bottles and Cracker Jack boxes were featured on the tables. Elizabeth Taylor is known for her famous violet eyes and diamonds! 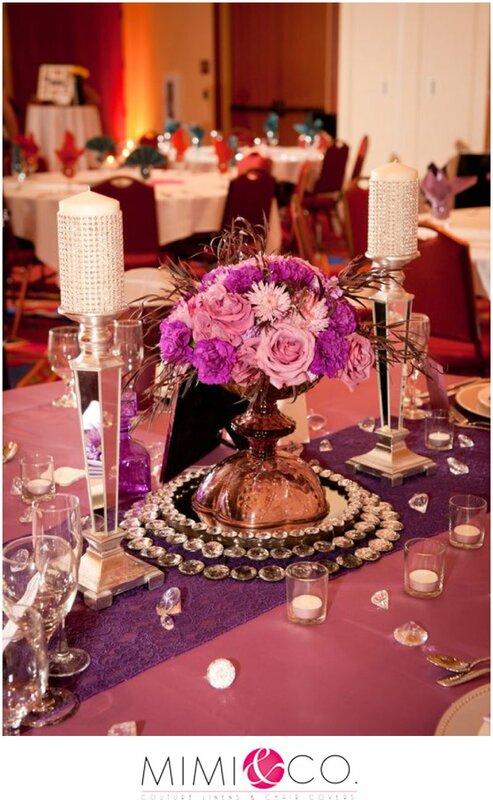 This ombre inspired table features all things Elizabeth, purple and crystals! 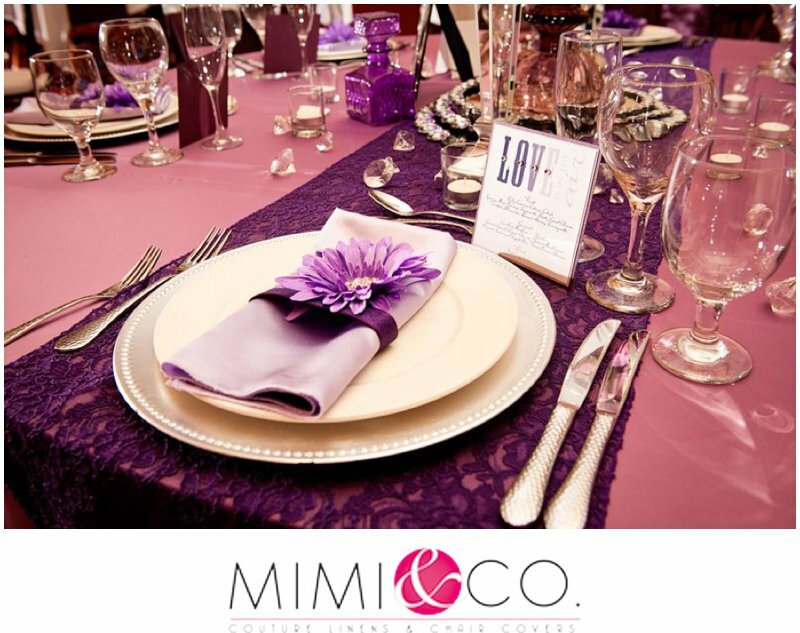 A lavender napkin brings in another tone from the deep purple runner and lilac table linens. 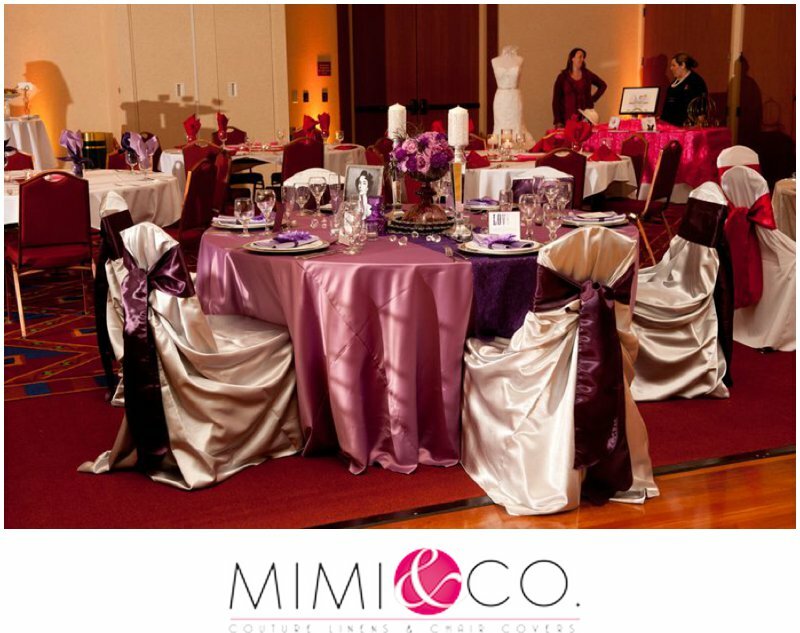 Moroccan lanterns, a worldly feel and rich accents of teal, red and purple bring together this look. 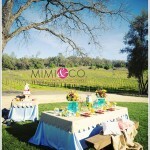 Neutral linens allow the colors to pop off this table. 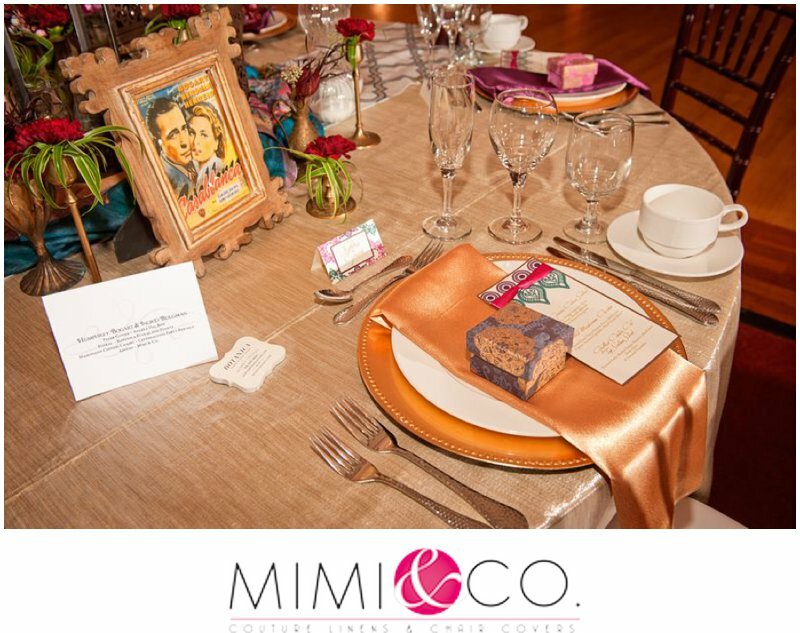 Gold chargers and napkins add a little glamour to the look. 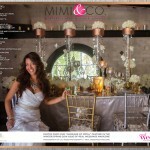 So, what do you think of these famous couple inspired tables? What’s your favorite look?